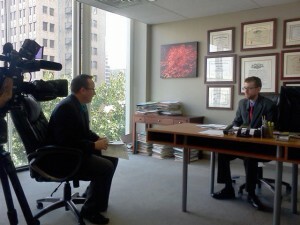 Tulsa DUI Attorney James Wirth talked with a Tulsa TV station this week about Oklahoma’ metabolite DUI-D law. The law, which took effect Oct. 1, 2013, allows prosecutors to charge anyone with driving under the influence if they have any metabolites of any Oklahoma Schedule 1 drug in their blood, saliva, urine or other bodily fluids. The presumptive DUI law does not consider whether a driver is actually impaired, or whether the banned metabolites could in any way impair a driver at the time of an arrest. Drivers who legally smoked marijuana in another state could be charged weeks later in Oklahoma.